When you are going through your daily life, are you actually thinking about what you are doing or are you just working on autopilot? If you are anything like the majority of the population, it’s the latter. Doing similar things day in and day out can be pretty boring and can make many people switch off from what is going on around them. However, being conscious of every single thing you are doing is hugely going to improve your life in a number of ways. Being in the moment, knowing what you are doing and feeling at one with your body is what mindfulness is. It’s a state of mind rather than an action but once you achieve it, the feeling is euphoric. There is such a strong correlation between mindfulness and your mental wellbeing. Being aware of what is actually happening in the present moment will simply help you enjoy life more and also make you understand who you are. When you practise mindfulness for a little longer, you will be able to teach yourself to train your thoughts a little more. This allows you to limit the number of negative beliefs you have, even pushing them away before they enter your head. 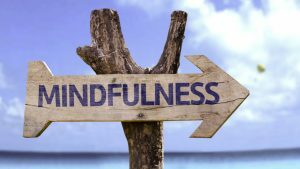 The awareness that mindfulness brings with it also allows you to KNOW the signs of stress and anxiety much easier than what you would if you were not being mindful. This gives you more time to actually deal with the problem and hopefully, get rid of it. If you want to be more mindful in your day to day life, it takes practice, commitment and time. This is not something that you are just going to fall into overnight especially if you’ve never done anything similar but when you do, the results are going to be more than worth it.